In previous blogs in this series, we’ve seen how to install and configure the REST API, and how to create and delete services within it using PHP. 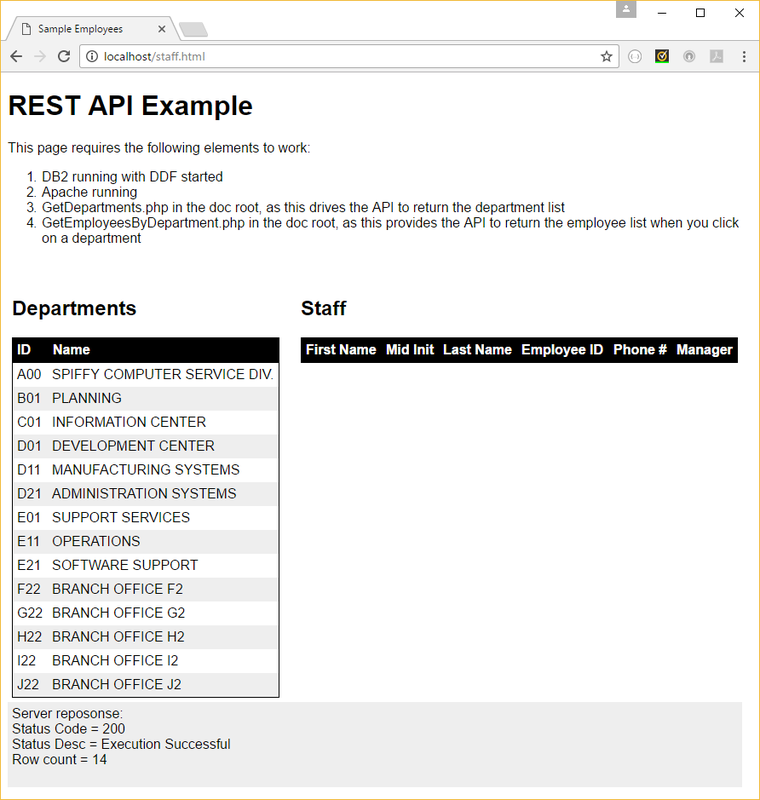 This blog will focus on a simple REST application that displays information based on the IBM supplied sample data. The Spiffy Computer Company (blame IBM for the name!) need a quick reference telephone directory for each department in the business. They would like a web based client that shows a list of the departments, and when the user clicks on one of these, a list of employees in that department and their phone numbers is also displayed. The DSNTEJ1 (create and LOAD data into supplied sample tables) job is shipped with the SDSNSAMP library, but hopefully you already have these created as part of the stock IVP set. DB2 V11 customers can find these with a schema of DSN81110, and V12 customers will have DSN81210. 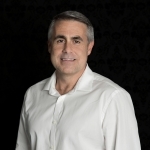 A more “real world” view of REST service provisioning – I think – would be to supply this service to partner businesses, who would necessarily want to wrap it with their own corporate web presence. E.g. 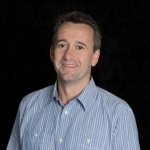 an insurance broker driving an insurers REST service to derive a quote, or a car dealer driving a manufacturers REST service to get a list of available models. 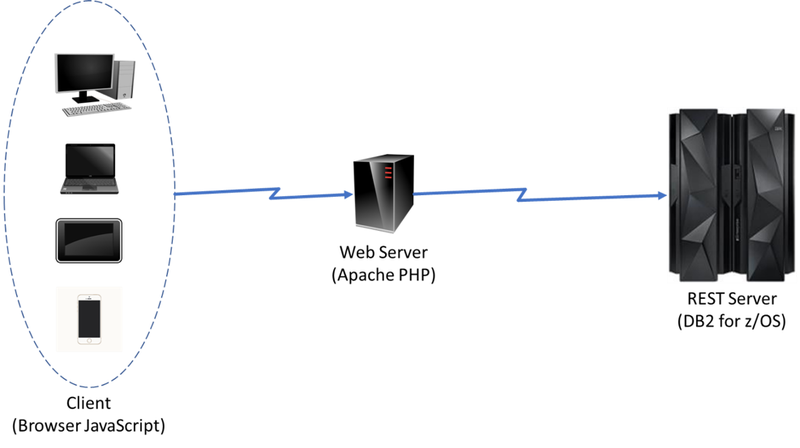 In that way, a mid-tier web server makes sense. It’s just an example that we (DB2 and z/OS sysprog) put together, and should not be seen as anything other than that. If you want to use it to IVP the function, please feel free, but there’s no warranty, guarantee, etc – your mileage may vary! 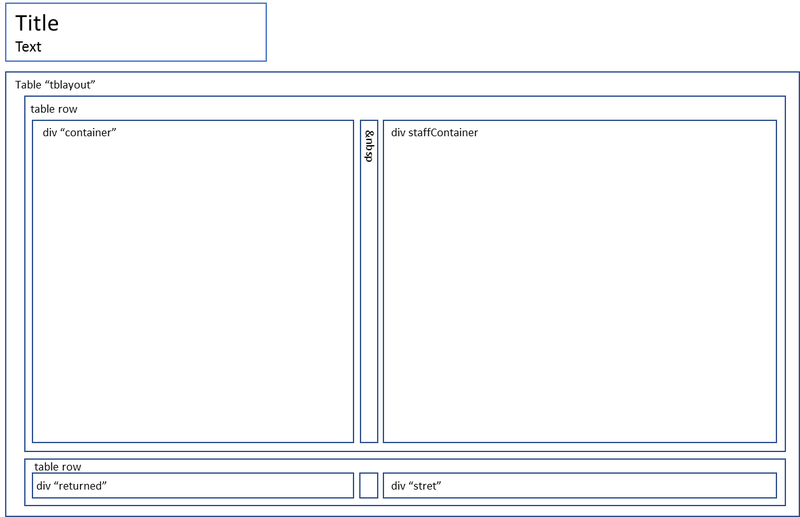 GetDepartments – which retrieves a list of the departments and their managers from the DEPT table. GetEmployeesByDepartment – which retrieves a list of employees and the department manager, and their phone numbers. 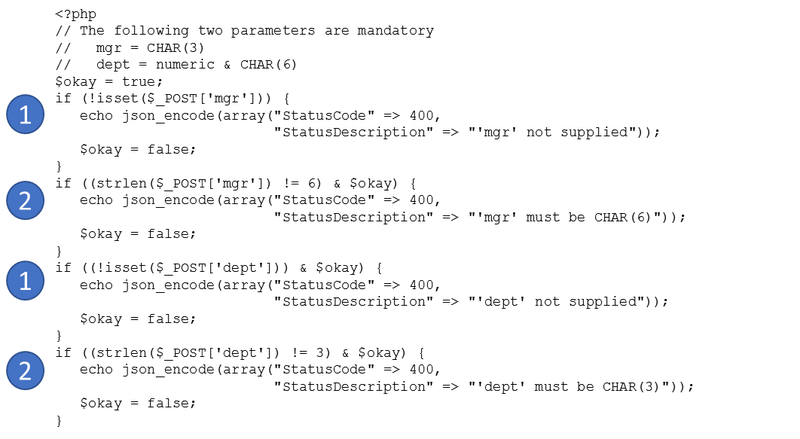 Note that the two parameters (mgr = Manager EMPNO and dept = department ID) are mandatory, the values being retrieved from GetDepartments, above. 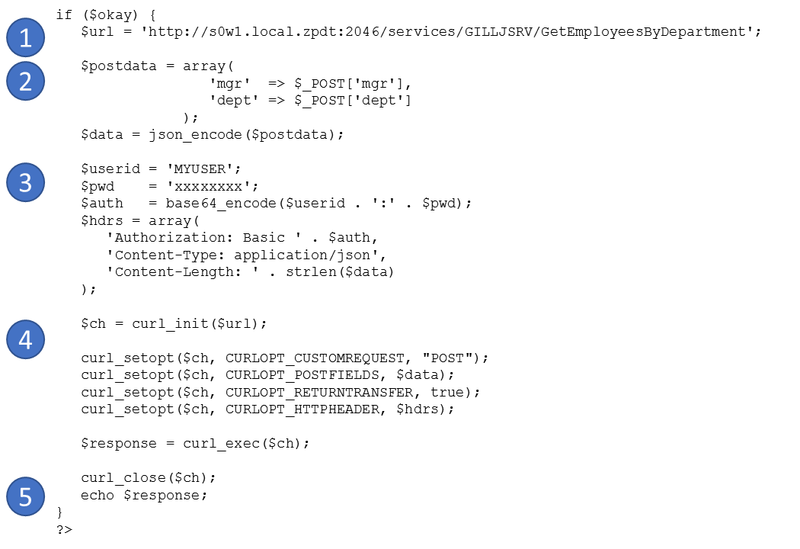 They both work by forming a POST call (using the PHP cURL plugin) – in the case of GetEmployeesByDepartment, with a parameter array (see below) – and returning the JSON response to the caller. 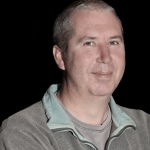 Setting the mainframe userid and password. 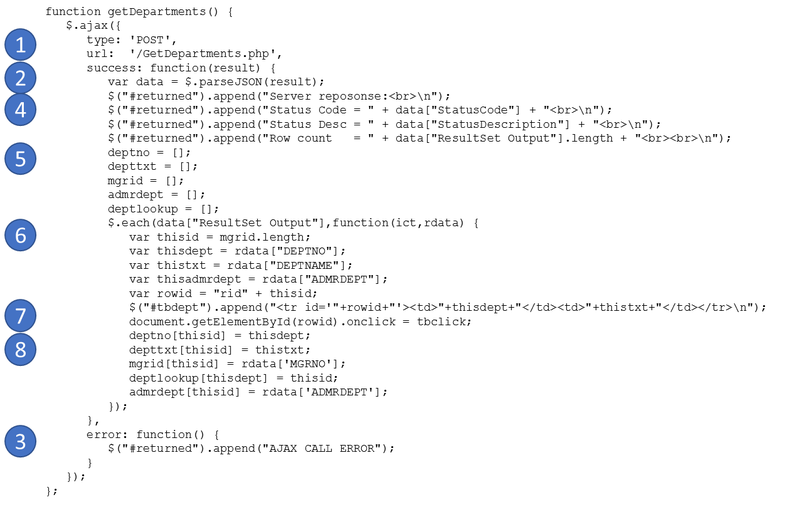 This is encoded (base64) into the POST request header. Authentication methods are discussed in more detail in the next blog post. Set the TCP/IP address and port0. Have I got both of the parms that I need? Are they the right length? Setting the mainframe userid and password. To make these available, we copied them to our Apache server document root (/srv/www/htdocs) so that the web client could POST to them. 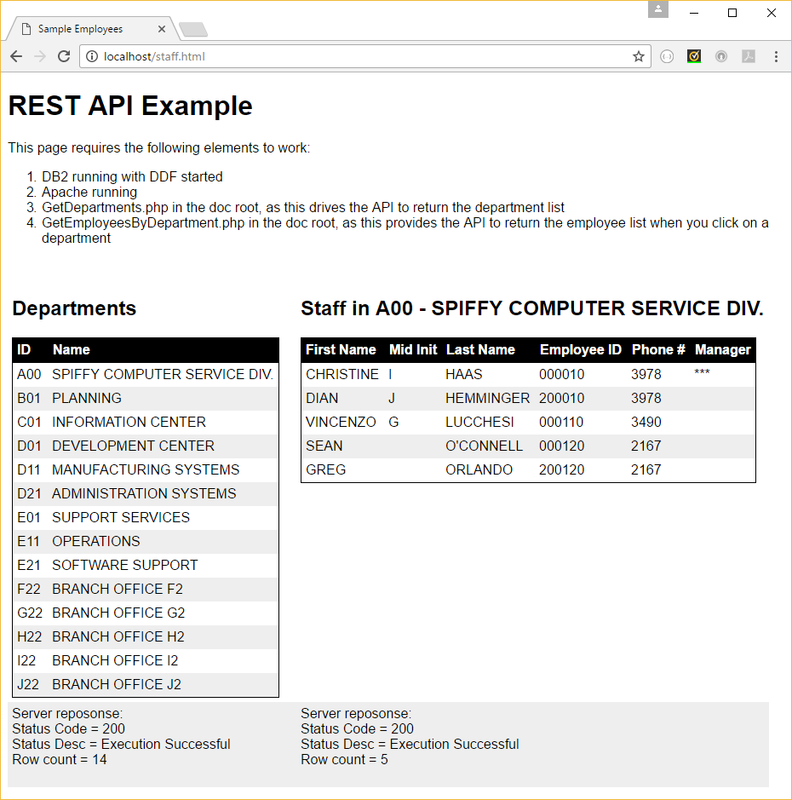 The web page (staff.html and staff.css for the supporting style sheet) should be deployed in the document root of the test web server, along with the GetDepartments.php and GetEmployeesByDepartment.php scripts. 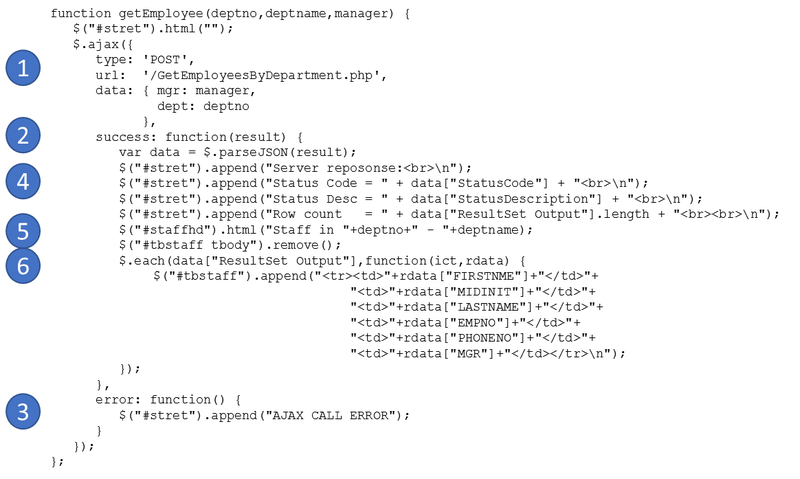 This is the Ajax HTTP POST request to the GetDepartments.php script in the document root of the web server that sent us this page. Then for each result set row, capture the data fields. 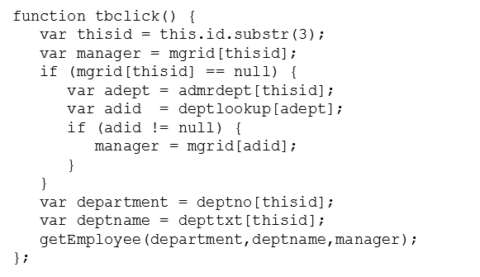 NB “thisid” is set from the current depth of the mgrid array (0, then 1, then 2, etc). 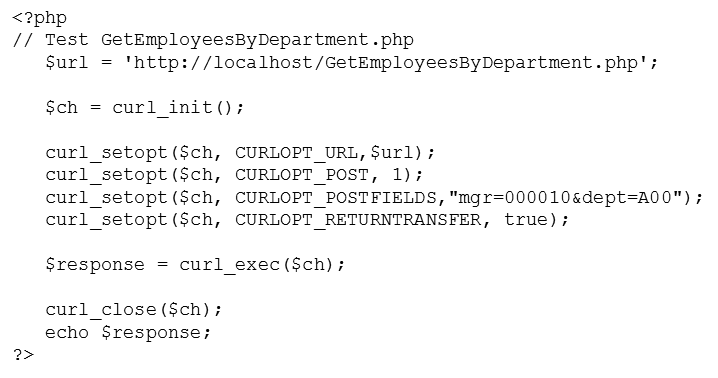 Issuing the HTTP POST to the GetEmployeesByDepartment.php script in the document root of the web server that served this page, passing it the manager employee number and department id as parameters. 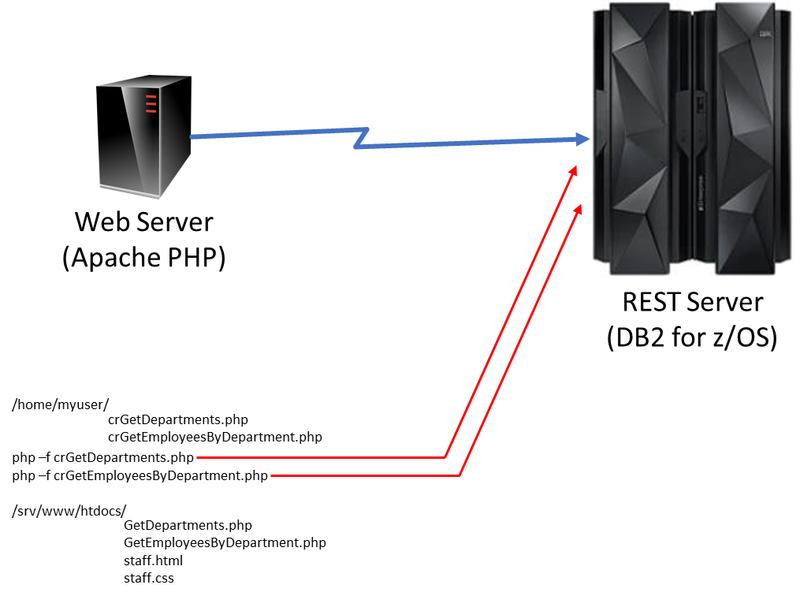 In the next blog, DB2 Native REST API – Security, we’ll discuss security for this REST solution.